I'm really excited that my fifth album, "Plain Brown Pony," is ready for release. We are planning a release at Thorncreek Winery on Friday, August 28 at 7:00. It takes a little time to get new product on itunes, but you can order a CD here. 16 brand new songs! I've also placed the other albums here as well in case your collection is incomplete! Speaking of albums, all but the first is available. 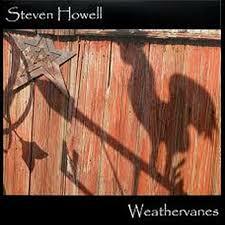 Weathervanes is available for $10.00 using the Paypal Button below, or on itunes and amazon. "Freeway for Nothin'" and "Sketches" you can order for $10.00 using the Paypal Button below or pick one up at a show. Fun fact: that first album, "Let It Go Softly," was only released on cassette (CDs were brand new and really expensive). There were only 500 made, and when you combine that with the fact that it wasn't very good, it's quite rare; only the oldest and most devout fans (and my mom) have one. Recently, I had the honor to attend the 70th anniversary of the liberation of Auschwitz. While there is certainly not room enough here to begin to explain the emotions during the journey, I did find myself moved to capture something in lyrics and melody. I'm sure this won't be the only song to come from the streets of Warsaw or Krakow, but it is the first. The only part of the song that may not be completely accurate is the price of the gas station wine - I never was good with conversions. As the carousel stopped, directly in my site was this rather dilapidated plain brown horse. His presence seemed to make the other animals even more fantastic. I watched as children passed him on their way to the ostrich or the zebra or the tiger.